1953 Lancia Appia series 1 as seen and admired at this year’s AGM (Appia Class Winner in 2015 and 2018). Excellent bodywork, one recent repaint in original Marrone (Brown), as far as I can tell never had any welding, all original interior in Panno Nocciola (Hazel wool-cloth) in excellent condition. I imported it from Vicenza in 2014 so showing only one owner on the UK V5C (DVLA-issued age-related number).I was told the 80,000kms showing was original, but having worked on the car I doubt it – I’m sure it has been round the clock at least once! I have replaced the engine and gearbox mountings, all new track-rod end components, fitted a new (NOS) heater unit and a complete rewire including rebuilt starter, dynamo and windscreen wiper motor, rebuilt the front window mechanism, fitted new door seals, etc. Unfortunately in spite of rebuilding the clutch and re-bushing the gear-change linkage, the gear selection is still unpleasant – my conclusion is that the gearbox probably needs overhauling. I’ve had enough! I like to drive my cars, not to work on them; I have managed only three or four hundred miles in the last two years, so it’s time for someone with more engineering skill than I have to take over. I may consider a later Lancia in part-exchange – Fulvia, Beta, Delta, Y10, anything so long as it doesn’t have a column change! 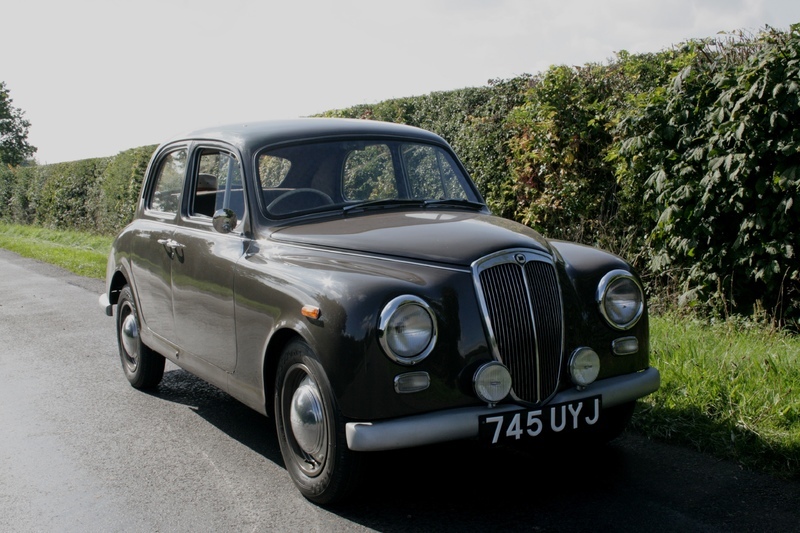 A very rare chance to purchase an early Appia in right-hand drive – a rare car yet with good parts support – the price reflects the work still needed to get it in top condition. £10,750 to include a photocopy (only) of the Italian registration document (VI 259228), a newly-issued Lancia Heritage Certificate, CD containing the Parts Catalogue (in Engish) and other documents, the original handbook in mint condition, and a very nice original sales brochure. Give me a bell on 07779 718812, or email me at mikecostigan@talktalk.net for further details, photos, tempting offers etc.